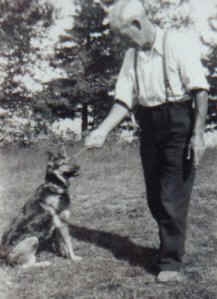 German Shepherd dogs for many generations. At Nohaus Shepherds our goal is to produce healthy, trainable German Shepherd Dogs that can be used for a variety of purposes, first and foremost however, our dogs should be great companions and a loving member of the family. That is why our dog's temperament is always a top priority. Our dogs are an important part of our family and our lives. We take them on outings to the park, rides in our trucks and visiting with our local merchants in town. At Nohaus, quality breeding is our passion. All of our puppies come with both a Hip and Health guarantee.